Fly with Microflite to enjoy a relaxed afternoon of picnic polo in beautifully landscaped gardens. Multiple departure times to and from Flinders available from Melbourne Heliport, Melbourne (Tullamarine) Airport and Moorabbin Heliport. 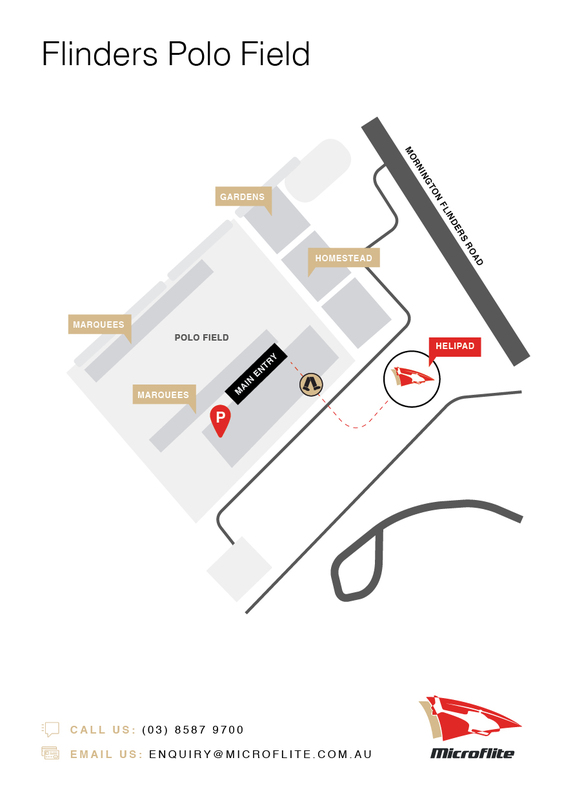 How do I get to the entry gate at Flinders Polo from the helipad? 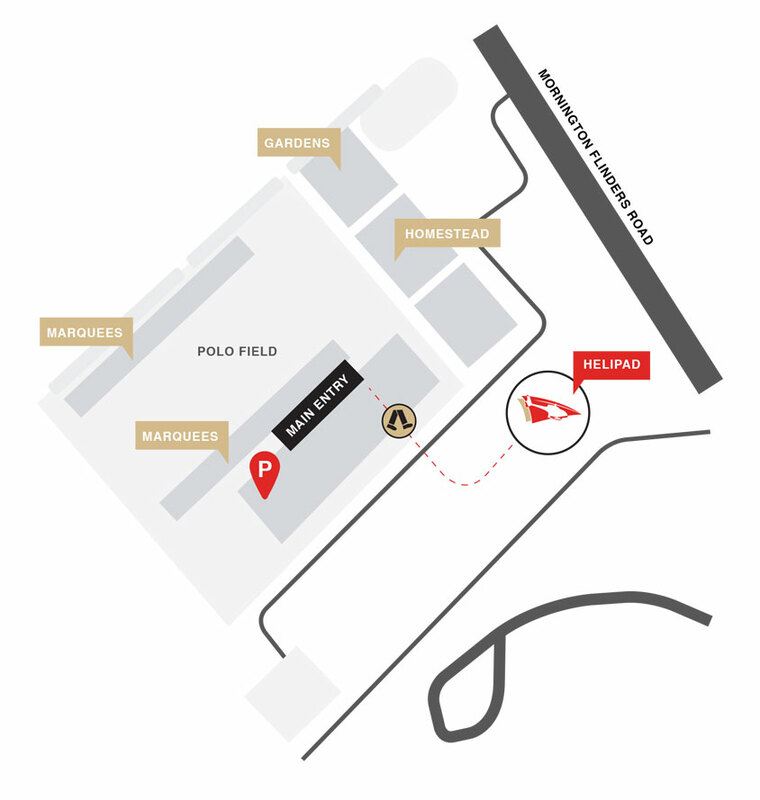 There is a short walk of approximately 1 minute from the helipad to the entry gate. I have booked a one-way flight from Flinders Polo. How do I find the helipad? Please refer to this map. The helipad is a short walk of around 1 minute from the main entrance.